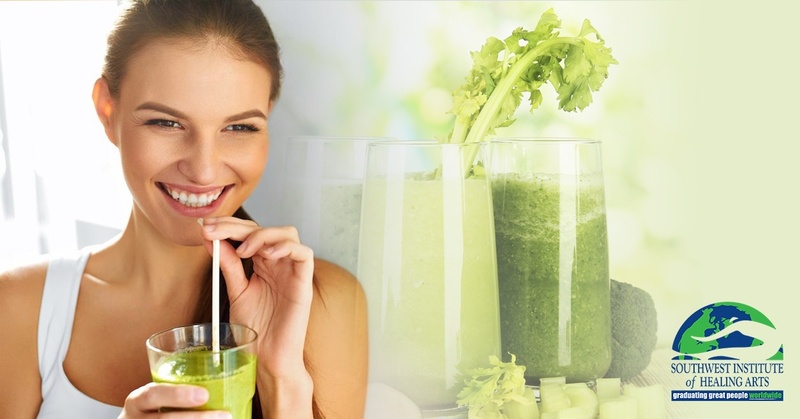 This green elixir has been touted by health gurus and celebrities alike for its wide range of benefits and the ease at which you can incorporate it in to your morning routine. Today we’re taking a look at an oft-overlooked veggie: the humble celery. Celery juice is powerhouse of antioxidants, phytonutrients and enzymes in a liquid form that can be easily consumed, bypassing the energy-consuming process of digestion. By drinking it first thing in the morning, many claim it’s given them better skin, more energy, and improved their gut health. 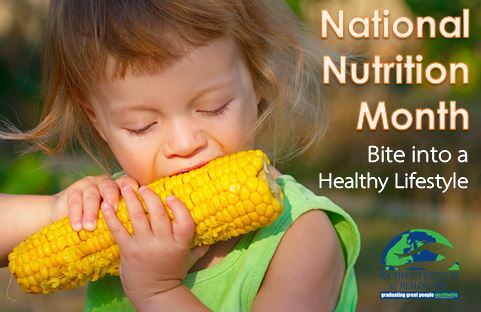 March is National Nutrition Month, a month dedicated to nutrition and education. National Nutrition Month was created by the Academy of Nutrition and Dietetics, focusing on the importance of making informed food choices and healthy eating habits. 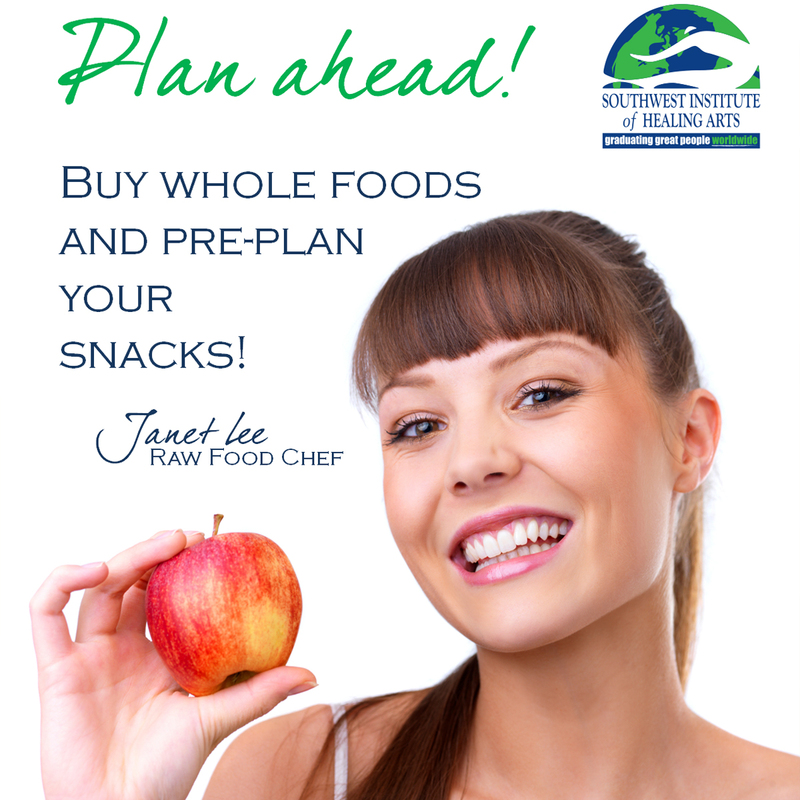 So the perfect way to kick off this month is with some fun, healthy snacks! This is a great time to add three delicious healthy snacks, primarily inspired by a vegan and raw food way of eating, to your life. Have fun this week trying superfoods including raw cocoa and goji berries, and make your own almond butter. While the holiday season brings happy times and wonderful memories, it can sometimes be challenging when it comes to maintaining a healthy diet. During this busy time of year, most of us have been on the run completing work commitments, eating at the mall while finishing holiday shopping, attending holiday parties with friends while eating plenty of food and drinking a little too much eggnog! It’s quite possible that the only exercise experienced is walking from the couch to the refrigerator, or running from store to store. If, you are experiencing low energy, headaches, or lack of motivation . . .
or if your pants are fitting a little tighter than a couple months ago . . . it is probably time to begin again with some healthy reminders! Let’s get back on track and begin some healthy habits in 2015 to help us feel our very best! As the colder weather of winter approaches, our bodies naturally crave warm and grounding foods. Using thermogenic spices in our foods is a great way to warm our bodies and our taste buds. 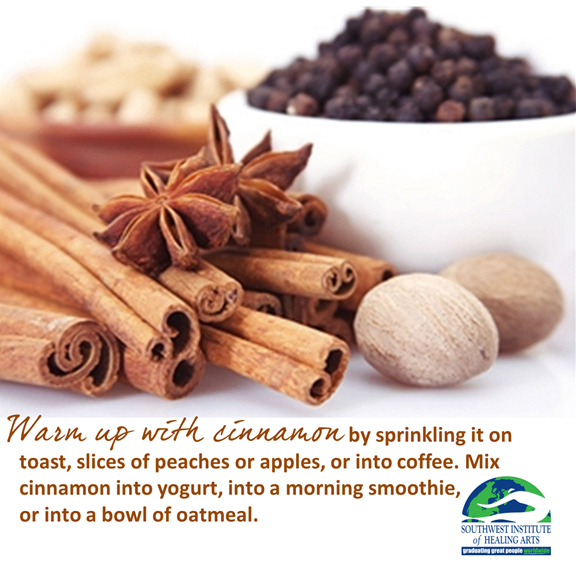 Thermogenic spices, such as cinnamon, nutmeg and cloves, increase the body’s core temperature and speed up metabolism. Warming spices of the holiday season have many health benefits as well—they increase circulation, support efficient digestion, boost the immune system, regulate our blood sugar levels, help with weight loss, and even ward off cancer and Alzheimers. Spices also bring the aroma of the holidays into our homes and make recipes taste delicious. Here’s a guide to some of the best warming spices, from cinnamon and nutmeg, to more exotic spices such as star anise and cloves. Discover the healing benefits of these warming spices, and how to use them in winter cooking. 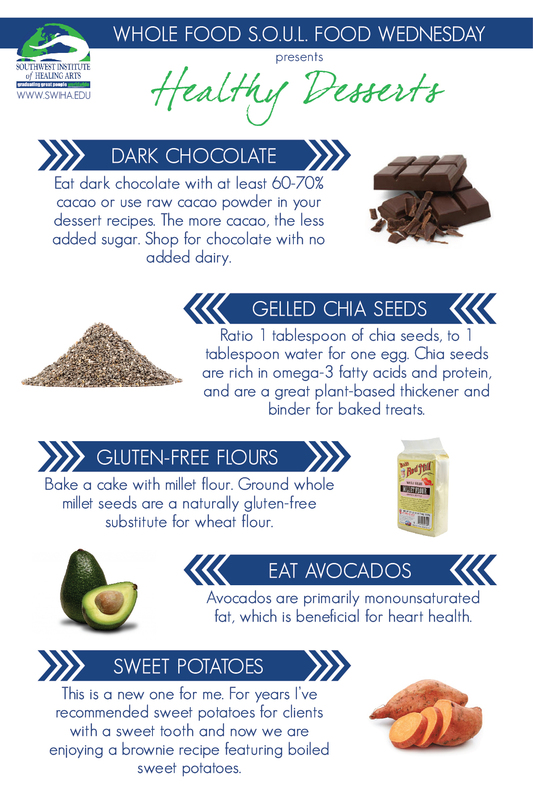 What do Sweet Potatoes, Bird Seed, Grass Seed, Dark Chocolate & Avocados have in Common? Healthy Dessert Night at Whole Foods Cooking Class!!! Within the Whole Foods Cooking Class at the Southwest Institute of Healing Arts we really enjoyed “Healthy Dessert Night” creating delicious whole foods gluten-free and dairy-free desserts with special unique ingredients. The students passionately and creatively cooked desserts including Vegan Chocolate Avocado Pudding, Millet Cake, Chocolate Sweet Potato Brownies, Agar Agar Gelatin, Vegan Chocolate Cream Pie and a Spicy Apple Crisp.